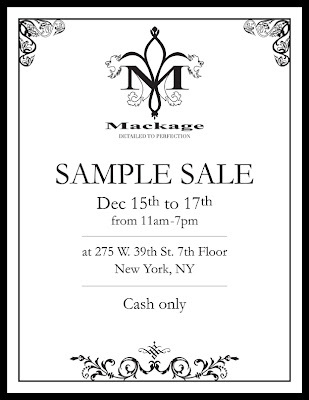 Mackage is having a sample sale in New York from Dec. 15 to 17. From 11:00 AM to 7:00PM at 275 W. 39th St. 7th Floor New York. Here is your chance to get those lovely coats.